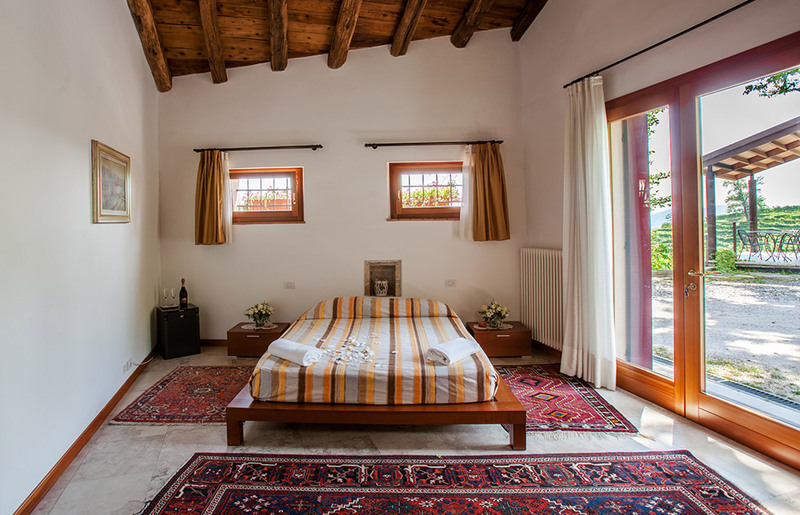 This room is placed on the ground floor of the building and enjoys always a comfortable temperature thanks to its position as well as the thick walls of the old house. Through a French window you can get to the small and cosy garden furnitured with chairs and tables where you can relax in the shades of the hornbeams and enjoy the breathtaking view on the Cartizze vineyards. The furniture of the room is mostly constituted by pieces of the beginning of last century and these antiques gives the bedroom a special charm and beauty that well encounters the old wooden ceiling (polished and treated with the most advanced techniques) and the airy cream-coloured curtains. However, a delicate hint of modernity is given by the low futon bed, and by the peculiar lighting with beautiful reflexes and colour shades that enliven and refresh the classical and elegant style of this room. The adjoining bathroom, decorated in pastel colours, is equipped with a bathtub and a shower. 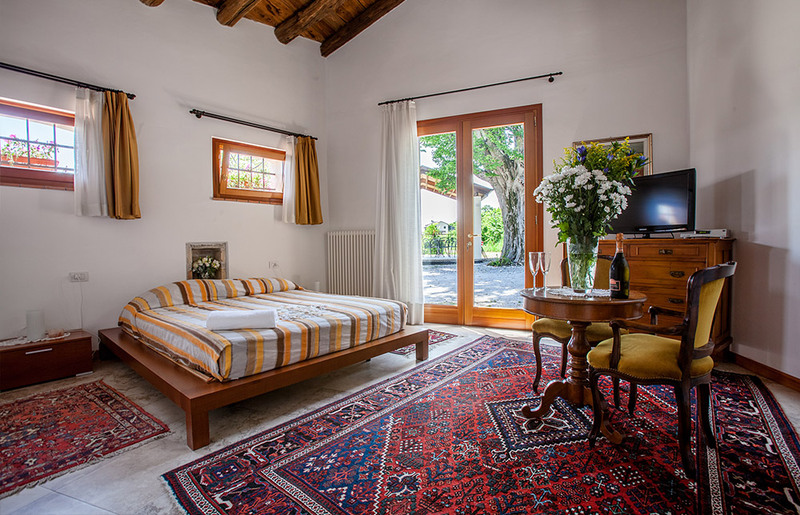 Facilities: Private bathroom with shower, tub and hairdryer, satellite TV, minibar, air conditioning/heating, wi-fi, views of the hills and vineyards.